Running smart is not something I am often known for but I decided to make a rare exception at Derby this year. 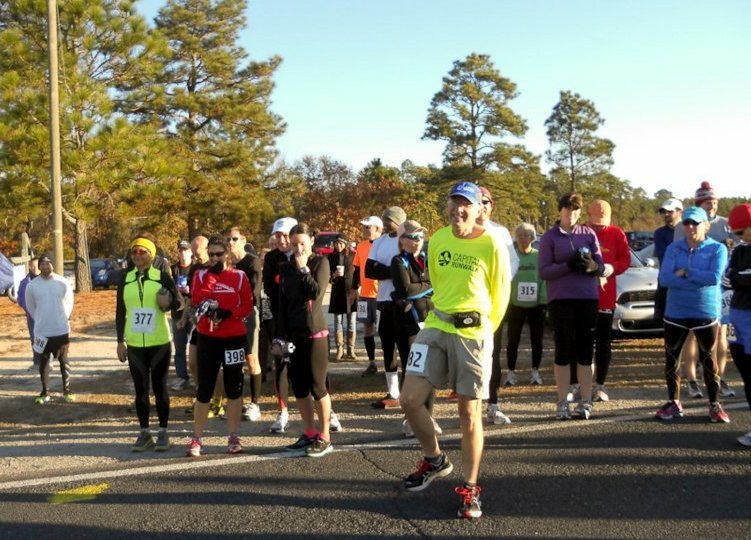 It was a beautiful morning with temps in the low 40's and warming into the 50's with abundant sunshine which would make for great running conditions. I had a great time seeing amd greeting many friends inside the Derby Community Building until just a few minutes before start time. I lined up near the front with Jenn but only because no one else seemed to want to be up there. At this point I was still going with Plan A which was to run comfortably to the first aid station around the 4 mile mark and then assess the situation. If I felt good and was near pr pace, then I would go hard. If not then revert to plan B. 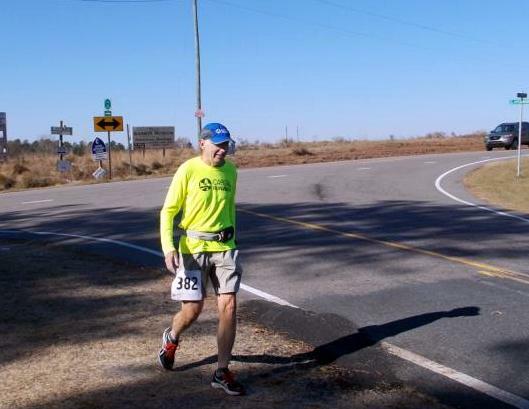 We ran along nice and easy with Bill Keane and a few others in those early miles and I got over the hills feeling alright the first time . I arrived at the aid station just about 10 seconds per mile over pr pace which I knew I could easily make up if I felt great. Well, I felt ok but I knew in my heart that I could not come close to that today. The next segment is my favorite with a nice long gradual downhill along Sycamore Lane and to the dirt road so I decided to maintain pace at least until aid station two at about mile 7 and then re-assess my condition. The downhill mile went great in about 8:36 but once we turned onto the dirt road, a fairly stiif headwind greeted us and it was a lot harder to maintain pace and I quickly decided then that I would be switching to Plan B. Once at the aid station, I wished Jenn well and stopped briefly to speak to the "Professor", Frank Sherrill and then headed out to implement Plan B. 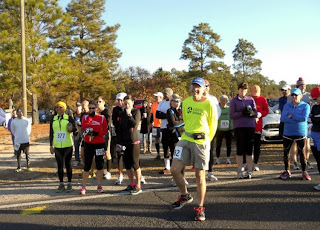 That plan was to make today's event a training run for my upcoming 50 mile race and PR attempt coming up in January. I was going to slow down the effort, switch to a run/walk strategy while trying to maintain an average pace faster than 11 minute per mile and get to the finish feeling like I could keep going comfortably at the end. Everything for the next few hours was going just as I hoped. I was making sure to keep up with the nutrition and hydration and just relax with the effort. The first lap was soon over and the 2nd lap went perfectly with my average pace about 10:15 as I headed out for the last lap.. I was able to chat with a few people occasionally even though we were really spread out by now. I made it over the hills with no problem just losing a few seconds on the pace and through the aid station 1 for the last time. I was feeling good and very happy to be confident that I would not be going into Plan C which would be doing the survival shuffle and suffering to the end. I do know for sure that if I hadn't shut it down at mile 7 that I would be in a lot of pain by now and not having much fun. As I headed down Sycamore the last time and onto the dirt road my pace had slowed just slightly and I was very happy to think that I had never had to resort to a shuffle. Other than the planned short walk breaks, when I was running , it was still a decent easy run pace. I came into aid station 2 and thanked them and told Frank I just had an easy 3.5 to go. Woohooo ! Came into the finish in 5:27:38, a 10:26 average pace and although I was a bit tired , yes I could have easily maintained that pace for several more miles. Looking ahead, when I race in Nevada in January, I will not have beaten myself up with 84.5 miles of tough trail just 6 weeks before and I won't have raced a marathon just two weeks before so I should be in better shape and a lot fresher. This was a big confidence builder for me that I am on the right track. Maybe next November I can come back to Derby for my 10th finish with fresher legs and be prepared to race it hard. Big thanks to Mark Long and the MTC volunteers for putting on this wonderful low key event once again.